Sunscape Splash's pirate-themed water park features a lazy river, a full-size pirate ship with plank bridge, and water slides. Sunscape Splash Montego Bay is located on a secluded peninsula in Montego Bay. 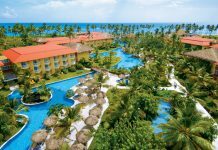 The all-inclusive resort features a water park and 24-hour access to food and beverage options, with buffet and à la carte restaurants serving a variety of cuisine and kid-friendly menus. There are 308 guest rooms and suites at the resort, each with a furnished balcony or patio. Each room comes fully equipped with air conditioning, a mini-bar, bath amenities and a flat-screen TV. Sunscape’s family friendly accommodations include private patios, connecting rooms and special amenities for kids. Sunscape Splash Montego Bay offers six dining options to choose from including a buffet, a grill, three à la carte restaurants and a café. Guests staying in the Sun Club have access to two additional restaurants. 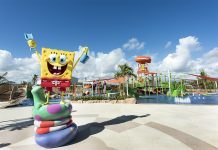 There are plenty of activities at the resort, including a kids’ club, teen club, and the Pirate’s Paradise Waterpark featuring a full-size pirate ship and fort, a 40-foot pirate’s plank bridge, a lazy river and a pair of 250-foot waterslides. 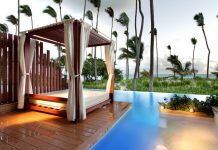 The resort has five pools: one main pool with a swim-up bar, an activities pool, a quiet pool, a pool by the water park, and a children’s pool Non-motorized water sports and daily activities like tennis, volleyball and movies on the beach are also included. 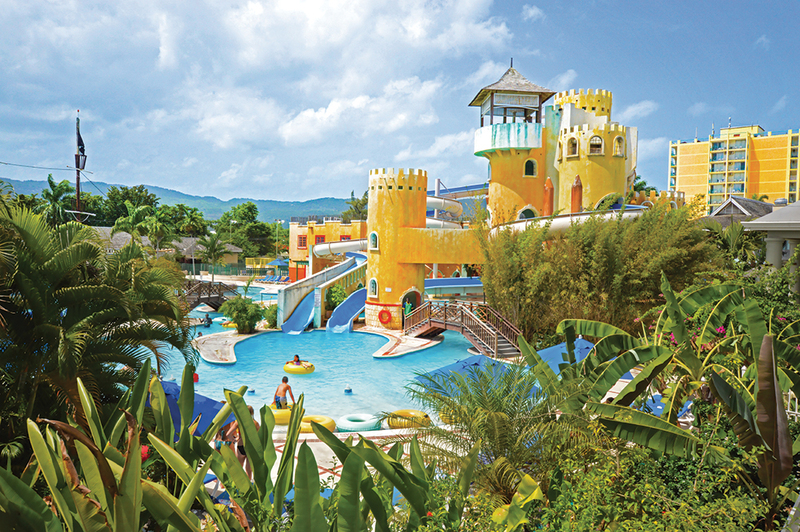 Sunscape Splash Montego Bay is located 20 minutes from Sangster International Airport (MBJ) in Montego Bay, Jamaica. For more information, visit Sunscape Splash Montego Bay’s website.